Shark Diver : Shark Diving : Swimming With Sharks: Chris Fischer and OCEARCH's feelings are hurt! Chris Fischer and OCEARCH's feelings are hurt! Chris Fischer responded to my blog "Celebrities at Guadalupe Island" on our facebook page. Apparently his feelings are hurt, that a blog about celebrities at Guadalupe Island was not about him. He writes: Chris Fischer Thrilled you are a fan of OCEARCH work. My wife and I personally funded the expedition that tagged Bruce. Amusing how you fail to mention the crew and capacity that created the data you feel is so important. Domeier simply stepped down tagged the shark then got out of the way. The crew did everything else to safely tag and release Bruce! Additionally, you know the sharks are returning now after shedding the tags with their fins healed up doing well yet you continue to let the others bash... We have spoken to the researchers using the 1 bolt method.. they are uncertain how well it's going to work long term as well the increase in bio-fouling from all the different cracks and crevices created by the mount. We have requested Wildlife Computers to try to design a modified mounting system... But as you already know, this is not required as they shed the tags after 5yrs or so and heal up nicely. 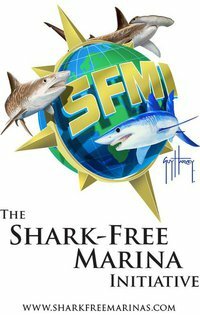 You should watch Mary Lee on the Global Shark Tracker. She is getting ready to repeat the success we had at Guadalupe Island by documenting the 1st full female mature white shark migration in the N Atlantic. Soon we will know where they are mating/birthing etc... just like out where you profit from cage diving at GI. I figure our work is the best chance you got at being able to own a multi-generational business. Acting like we don't exist is amateurish and rude. We are currently on Expedition off West Australia where we have tagged 20 Tiger Sharks to solve the same puzzle as we did in GI to create a future for sharks here. Please forgive me Chris, I had no idea that I would hurt your feelings by writing about a celebrity without mentioning you. How rude of me. So since your feelings are hurt by me not mentioning you, let me respond to what you are saying. 2. Your wife and you financed the expedition that tagged Bruce. I never wrote anything about who financed that expedition, or why that is even relevant, but since you claim you did, let me also state what Dr. Domeier said about that. Yes, he paid for 2 trips to Guadalupe, but then struck a TV deal that allowed him to recoup those costs as he was getting $400K/episode. We were able to make multiple episodes from a single trip. Furthermore, I tapped two other private foundations to help pay for the tags and research; financial support that he never acknowledges. Fischer was fairly paid for all of the work we did together… this was not a huge philanthropic venture. On the contrary, he made it clear: “no cameras no trips.” The huge $$ figure he throws around must be for the entire operating cost of his ship and production company for each year he was making these television shows. But that’s not a fair way to account for the actual cost of the research (a fraction of the yearly operating budgets were due to the handful of research trips)… and he never discusses the INCOME. Any real accountant would tally just the costs of the specific trips… or think like this: what would it cost to charter a vessel for each research trip, and then subtract the income! Perhaps he took a loss, I don’t know; my organization took a financial loss… but no way did either of us wrack up losses in the millions. 3. Domeier simply stepped down, tagged the shark and then got away? OK, and the research paper appeared out of thin air? My advise to you would be this. Make it about the sharks instead of about you. You and I are not important, saving the sharks is. Your need to be seen as a shark expert is not important. You provide a platform for the researchers, they are the experts. Why do you feel the need to belittle what they do? Catching and tagging the sharks is a means to an end. The end is the research and that is what the researchers do. For example, I collect photos at Guadalupe Island for Nicole Nasby-Lucas. She is doing the research for the photo ID's. I have nothing to do with that. If someone mentions her research, there is no need for them to say anything about me, or anyone else who gave her the pictures. 4. You write that I know that Bruce has been returning safely to Guadalupe every year. Ah, why do you think I don't know that? I have always stated that the second generation tags, that Bruce and Bite Face were fitted with, have fallen off and there is little damage to their fins. I even put a picture of Bruce into the blog, that shows him after he lost the transmitter. "All the tagging done in a year, may cause harm to a few hundred sharks. Again, that's a few hundred, vs. 30-100 MILLION sharks killed annually. If the protests succeed and there is no more tagging, at best we could save a few sharks every year and make life easier (no tags, no deformed dorsal fin etc.) for a few more. On the other hand, we could also loose valuable data, that may help save sharks. You decide, if it is worthwhile to focus on this. Personally I think we need to weigh the importance of the data collected against the potential harm to the sharks." My beef with you has always been about lifting the sharks out of the water and not improving your methods. It's no longer necessary to lift them out, as Dr. Domeier has shown. I have defended your early work by saying that the Wright brothers didn't invent an A380 either. Pictures like this should only come from the past by now. Do you have any idea how many people bash me, for not outright condemning anything you do? I hurt your feelings by not defending everything you do and mentioning your name every time I write about something that was connected to you. 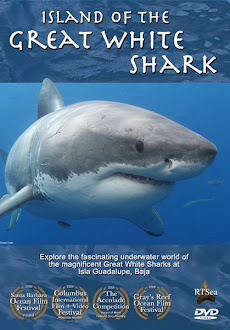 The blog you are referring to in your comment was about the real celebrities at Guadalupe Island, the sharks, not you. 5. I am acting like you don't exist? How can you say I act like you don't exist and on the other hand criticize what I say about you? If you start to improve your methods of catching sharks and attaching the transmitters, I will give you credit for that. If you start giving some credit to the researchers who are doing the actual studies, instead of promoting yourself as the shark expert, I promise to write an entire blog, promoting the new and improved Chris Fischer.